Nature-lovers will be in heaven here in Greater Fort Lauderdale, which is rich in wildlife and natural beauty. 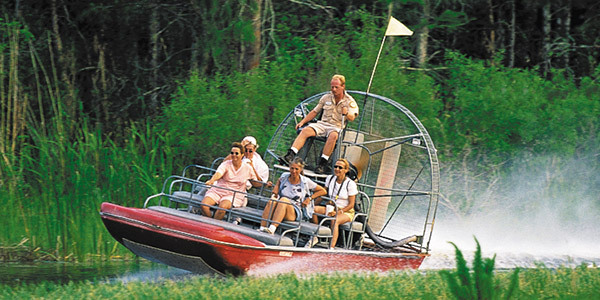 Head to Sawgrass Recreation Park and board an airboat for a thrilling adventure in the world-famous Everglades. You could go on an alligator-seeking expedition and get up close to other native wildlife; pick from daytime, nocturnal and private tours. Your expert guide will tell you all about the history and geology of one of Florida’s best treasures; continue learning at the Park’s Reptile Exhibit, Glades Exhibit and Exotic Wildlife Exhibit. 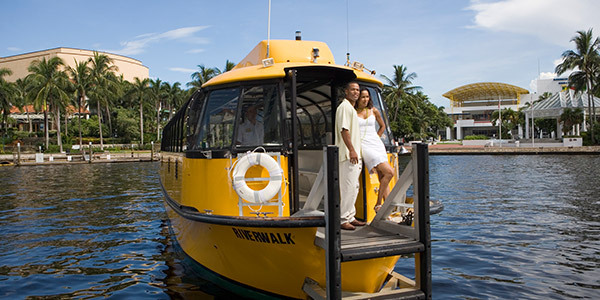 If you’re reluctant to return to dry land, explore the city on a Fort Lauderdale Water Taxi. You could take the River Route to downtown Fort Lauderdale, the Fort Lauderdale Route through the New River and the Intracoastal Waterway, or be whisked to Margaritaville via the Margaritaville Express. Pick from one of the cruises and tick off restaurants, shops, museums, galleries and other attractions, go beach-hopping or build your own personalised Water Taxi itinerary to take in all your preferred destinations and activities. 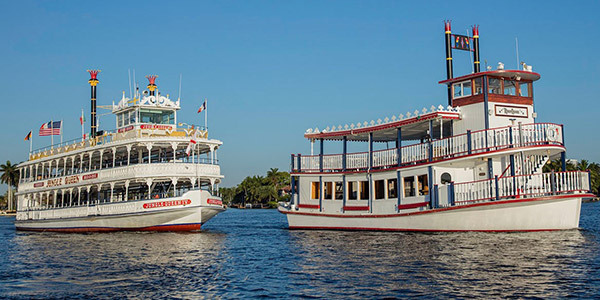 Experience the waterways with a delicious dinner on board or live music. Sign up to an expedition with Jungle Queen Riverboat, which offers 90-minute cruises that range from sightseeing trips to night trips with dinner and entertainment. The Sightseeing, Dinner and Show cruise explores Fort Lauderdale’s New River; you’ll sail past Millionaire’s Row and its mansions and mega yachts. All that sea air will make you hungry: once you’ve arrived at your island destination, you’ll be treated to a feast of barbecued baby-back ribs, chicken, peel-and-eat shrimp, plus all the fixin’s. There’s live entertainment during dinner, followed by a fun variety show. 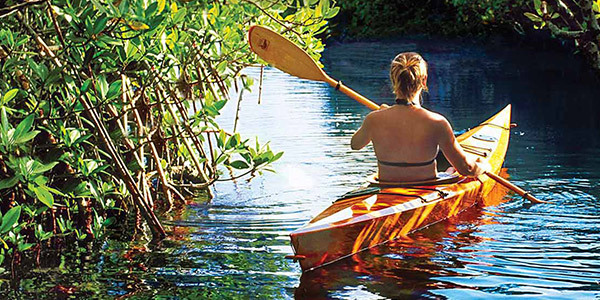 Discover West Lake’s largest remaining mangrove ecosystem – whose residents include alligators, snakes, and rare birds – with help from Kayak Tour West Lake Park. The park is home to the interesting Anne Kolb Nature Centre and is part of the Great Florida Birding and Wildlife Trail. Pack a picnic with barbecue provisions and make the most of the electricity-equipped shelters; there are also fishing platforms and a marina with canoe, kayak and stand-up paddleboard rentals.